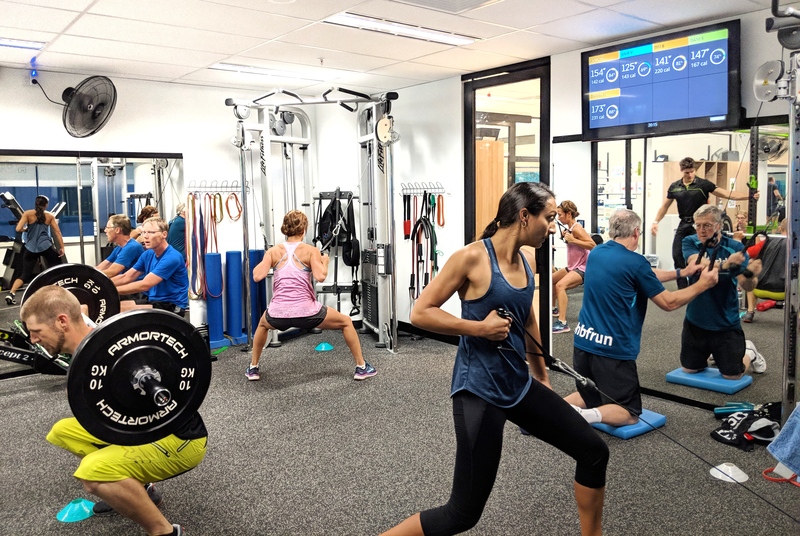 Our highly popular Functional Training (Group) classes are a form of high intensity interval training (HIIT) combining cardio and strength training principles. These circuit style classes are all designed by Physiotherapists to challenge and improve your core stability, mobility, agility, fitness, endurance and strength. In these classes, you’ll be using premium cable machines, TRX, dumbbells, barbells, plyometrics, rower, kettle bells, power bands and other gym equipment to condition your entire body. As you navigate through challenging exercise stations you can expect an elevated heart rate and to sweat! Small group size and skilled Physio instructor means sessions are suitable for all levels. Attend a 30 min one-to-one Physio Exercise Appraisal with a highly trained Exercise Physio then try our group exercise sessions for FREE! When you attend your physio appraisal we will set you up with a complimentary 2 session pass to try our Group exercise sessions (Group Reformer, Mat exercise and Functional Training) FOR FREE! Click here to book your Physio Exercise Appraisal!